What is a Connecticut Rental Application? Connecticut Rental Application: What Is It? 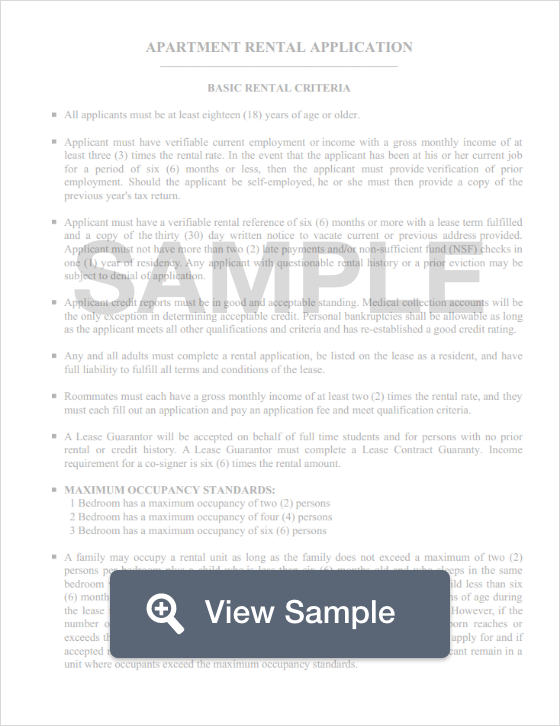 In Connecticut, a rental application is a vital form that gives landlords an in-depth look into the financial responsibility and stability of the applicants who wish to rent one of their apartments. These applications generally require sensitive and personal information such as the applicant’s full name, their address, their social security number, their rental history, and their income information. A rental application is a document that works to protect both landlords and tenants by ensuring that discrimination is prevented and that the process of collecting and processing an applicant’s information is uniform. In addition, there is generally a fee for each person that submits an application. Fees generally range from $25 to $75 but vary from landlord to landlord. According to Connecticut Tenant Laws, a landlord may not demand a security deposit of more than two (2) months rent for tenants less than 62 years of age. For tenants over the age of 62, a landlord may not demand a deposit equal to more than one (1) month’s rent. Furthermore, a landlord must return the security deposit (less any fees), no later than 30 days after the lease is terminated (Conn. Gen. Stat. Ann. § 47a-21).